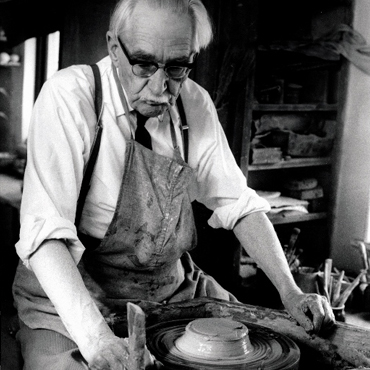 Widely considered the most important and influential artist-potter of the 20th century, Bernard Leach pioneered the revival of the English studio pottery movement, setting up the the St. Ives pottery, with the help of his friend Shoji Hamada, in 1920. Having trained in Japan under the master potter Kenzan, Bernard brought to the pottery a heady mixture of idealism, aesthetics and a radical workshop concept resulting in a continuing struggle for survival. The Leach Pottery re-opened in March 2008 following major restoration and is set to become once again an international centre for the study, creation and exhibition of pottery. 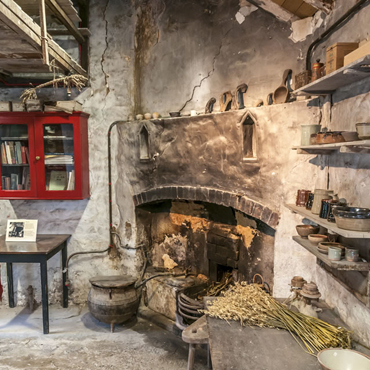 The redevelopment of the site has restored the pottery cottage and the old pottery, both Grade II listed buildings. The pottery now produces work on site and a gallery and shop hold regular exhibitions of leading regional, national and international potters. Visit the Leach Pottery website for more information on the history of the pottery, exhibitions, courses and latest news. It was Bernard's elder son David who gave stability to the pottery by introducing a range of hand-thrown standard ware. He also engaged students and apprentices who helped to produce the range. Amongst them was John, Bernard's eldest grandson who was an apprentice from 1960 - 1963. David and his brother Michael both worked with their father until 1955 when they left to set up their own potteries in Devon. 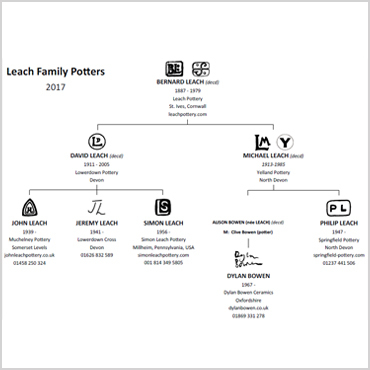 Click the link below to see an enlarged version of the Leach potters family tree. 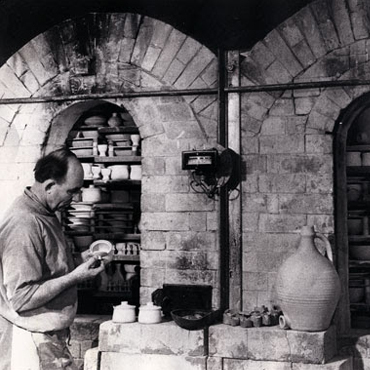 As the eldest grandson of Bernard Leach and son of David Leach, John was fortunate to be given the best possible training as a potter and to be able to continue the family tradition, making honest, hand-thrown pots at Muchelney Pottery. 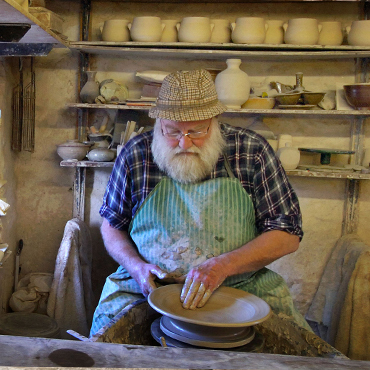 His range of stoneware kitchen pots using local clays has been in constant production for over 50 years but his greatest joy is in creating his one-off designs. Some are fired in sawdust-filled saggars, producing exciting black pots with unpredictable markings. Others explore his fascination with antique leather bottles, African and early English and American pottery.